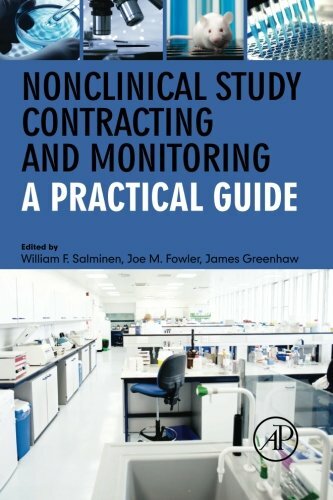 Nonclinical Study Contracting and Monitoring: A Practical Guide offers a systematic and straightforward handbook for obtaining high quality preclinical Good Laboratory Practice (GLP) studies. This book is full of real-world examples, processes, procedures, useful templates, checklists and sample reports to provide readers with a better understanding of exactly what happens during all stages of a GLP study and the critical aspects of GLP study design and conduct. 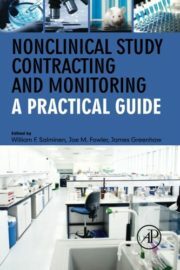 Designed for both the novice and experienced scientist, this book covers the GLP regulations and how they impact preclinical studies, the differences between GLP, non-GLP and peer-reviewed studies, preclinical GLP study design, laboratory selection, contracts and business ethics, how to obtain test material for the study, animal sourcing and release for study, preparation of a draft report and much more. By illustrating the overall big picture and tying it together with the individual steps, this book is an essential resource to help scientists ensure a high quality GLP study that passes both scientific and regulatory scrutiny. Includes both the “big picture” look at complex processes, such as contracting toxicology and safety studies with CROs, as well as a detailed account of each individual step. Contains several real world examples of problems in preclinical studies to provide you with an idea of the types of challenges that are routinely encountered and how this book can help you avoid these issues. Provides monitoring checklists through the book that will help you comply with each GLP requirement and maintain compliance throughout the entire process. Both entry level and experienced scientists involved in nonclinical toxicology study monitoring will benefit from the ideas, examples, discussions and strategies presented throughout this book.